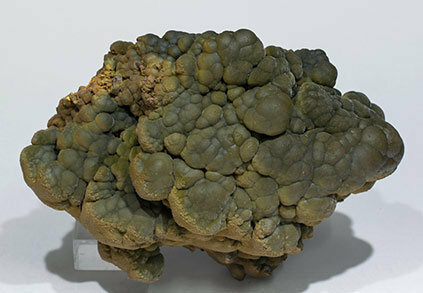 Very well defined spheroidal growths of Mottramite on a limonite matrix with a greasy luster and a very deep olive green color. 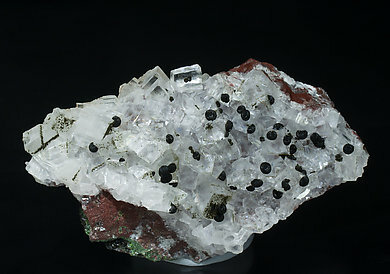 The sample is from the famous find in November, 2011, when Mottramite was firstly noted in a collectible form at Mapimí. We will provide a copy of the analysis to the buyer. 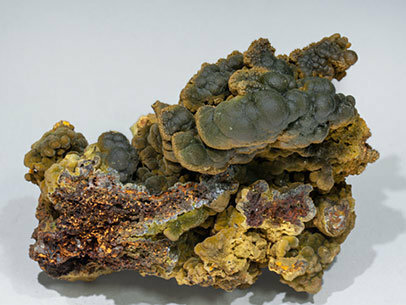 These Mottramites were found in 2011 at the Ojuela mine, where the species never before had been observed. A lot of samples were recovered in that find, but never again so the find was unique. 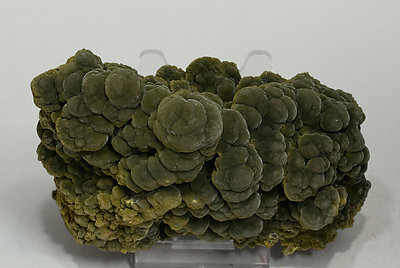 The quality of this sample is quite competitive due to its botryoidal forms which make it comparable to the good quality samples from other localities. We’ll provide a copy of the analysis to the buyer. A novelty at Tucson 2012. These Mottramites are totally new for Ojuela Mine where they never were seen before. Also the quality is quite competitive due to its richness and the botryoidal forms, so they are not only a "locality sample" but also a good representation of the species. A novelty at Tucson 2012. 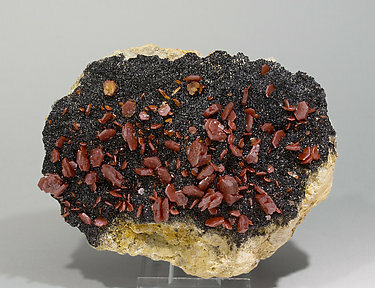 These Mottramites are totally new for the Ojuela Mine where they never were seen before. 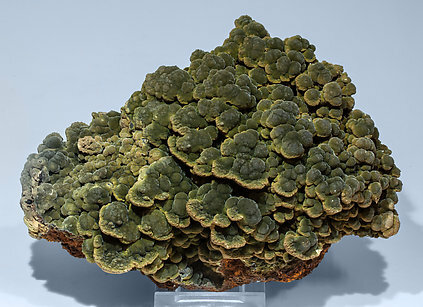 Also the quality is quite competitive due to its richness and the botryoidal forms, so they are not only a "locality sample" but also a good representation of the species. 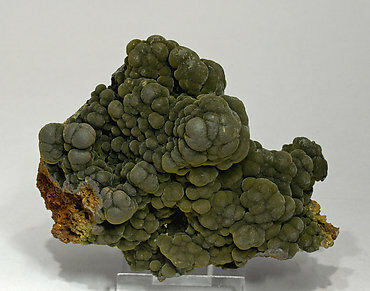 Concretions and arborescent growths of Mottramite of attractive green color, on crystals of Calcite. 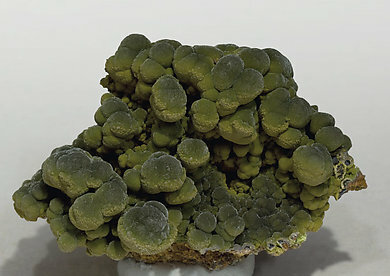 Greenish black globular growths of Mottramite scattered on a druse of transparent rhombohedral Calcite crystals on matrix. The Mottramite spherules have been analyzed and we will send a copy of the analysis to the buyer. 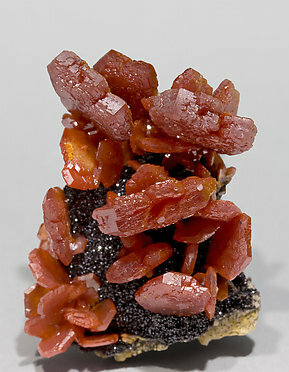 Creamy crystals of arsenical Vanadinite, some of them doubly terminated, on a bed of black microcrystals of Mottramite all on Dolomite matrix. A novelty at St. Marie 2012. 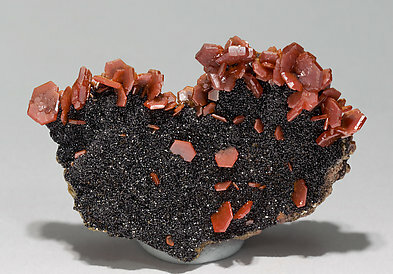 Translucent laminar crystals with a vivid red color. They have a dominant pinacoid and show the faces of a pyramid. The crystals have polycrystalline growths on their edges that gives them a toothed appearance. They have grown implanted on a bed of black, very bright microcrystals of Mottramite that coat a rocky matrix. 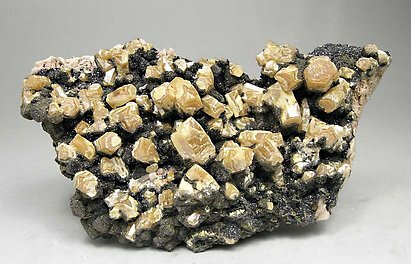 The Mottramite, a novelty at the Mibladen area, has been analyzed and we’ll send a copy of the analysis to the buyer. A novelty at St. Marie 2012. Translucent laminar crystals with a vivid red color. They have a dominant pinacoid and thin prism faces. They have grown implanted on a bed of black, very bright microcrystals of Mottramite that coat a rocky matrix. The Mottramite, a novelty at the Mibladen area, has been analyzed and we’ll send a copy of the analysis to the buyer. A novelty at St. Marie 2012. 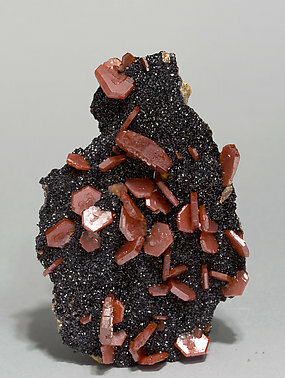 Translucent laminar crystals with a vivid red color. They have a dominant pinacoid and thin pyramidal faces. They have grown implanted on a bed of black, very bright microcrystals of Mottramite that coated a rocky matrix. 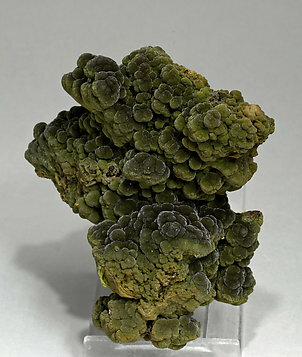 The Mottramite, a novelty at the Mibladen area, have been analyzed and we’ll send a copy of the analysis to the buyer. A novelty at St. Marie 2012. Translucent tabular and laminar crystals with a vivid red color, they have a dominant pinacoid with polycrystalline growths on their faces, and thin prismatic and pyramidal faces. They have grown implanted on a bed of black, very bright microcrystals of Mottramite that coat a rocky matrix. 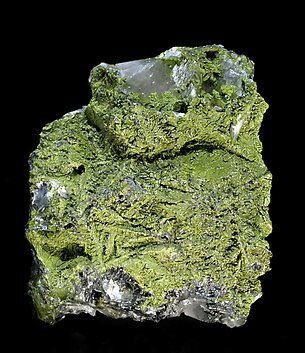 The Mottramite, a novelty at the Mibladen area, have been analyzed and we’ll send a copy of the analysis to the buyer.